There is so much pressure as a bride to get in shape and look your best when you walk down the aisle. Part of it is unspoken, but a good bit of it is spoken right out loud. I'm not fat, but I'm not skinny either. I've always felt pretty alright about my body, and how I look. I generally eat healthy, but I absolutely do not like to work out. But really, there is nothing like a white dress looming in your future to make you want to start to like working out. This is me pretending to have fun. -Eat an 80/20 diet. While I eat a pretty healthy diet now, it definitely can still be better and more full of whole foods. I still want to allow for one cheat day or meal, because I can not survive without chocolate or ice cream. I do want to lose a few pounds, and I know that this will only happen if I stick to my goals in the kitchen. -Do some form of cardio at least two times per week. I recently purchased a package of 10 Zumba classes, and a year membership to Planet Fitness. It is going to take a little bit of planning to really get fitness back into my schedule, but it really is necessary, and I know I'll be happier in the long run. -Add weightlifting to my exercise regimen. I know many people who have really seen results when they have added weightlifting to their regimen. It is one of the best ways to burn fat. Also, I want to tone up areas such as my arms and back that will be highlighted in a wedding gown. -Try some new forms of exercise. I am signed up for Zumba, but there are so many options out there now. Just browsing Groupon you can find coupons for almost anything. I might want to try Barre classes, or maybe hot yoga. I want to try to stretch myself this year to explore some new fitness interests. Do you have any fitness related goals for 2015? Do you want to lose weight? Eat healthy? Exercise more? Love this!!! 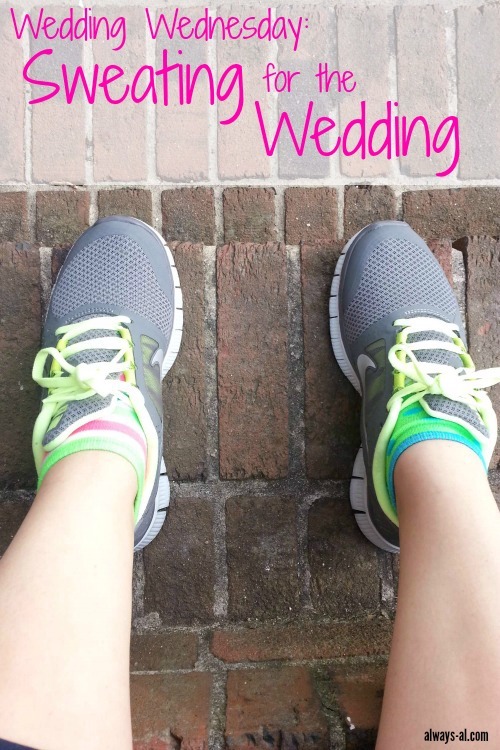 I need to jump on board with you and bust a move on the treadmill for my vow renewals ! you go girl! I totally agree. Before my wedding I started working out with the GA Tech Women's Basketball Team. I was in the best shape of my life. I got a Fitbit for Christmas and I've lost 5.8 lbs since. Best wishes on your fitness journey. You go girl! I've been there as a bride, and now mother/wedding and event planner! It will pay off and your will no doubt look stunning as a bride and confident! You definitely got this :) Love your healthy plan of loosing weight. I know you'll look gorgeous on your wedding day. Thank you! I want to rock some toned arms in a nice dress! I think building my confidence is the most important thing! :) Thanks for visiting! Aw thank you!! :) It definitely helps that my fiance is working hard too. Thanks for visiting! I saw a groupon for Barre. I might try that when I finish my groupon for Zumba! I've heard of BodyPump before, but the gym that offers it here is super expensive. I would like to get more into weight lifting, especially to tone my arms and back. I was into running last summer (4-6 miles), but I pulled a muscle in my leg and have been out of it since. 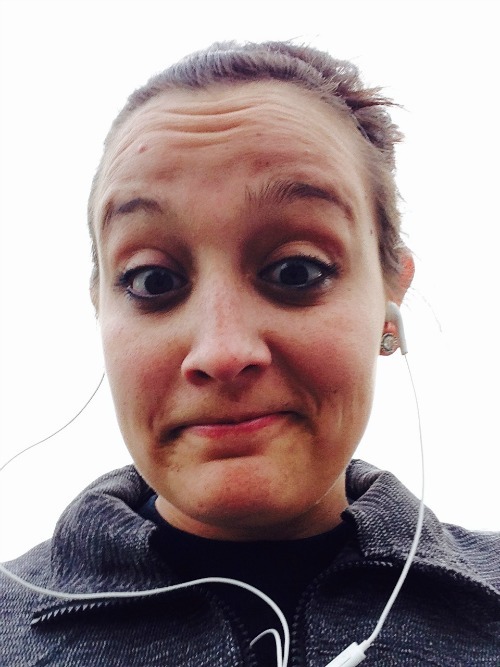 I was signed up for a 10k and never ran it because of the injury. I don't think I could run a mile right now!! These are some really great goals. I love that you are starting on them early. So much more manageable that way. And congrats on the wedding. Thanks! I feel so much better about starting early. It is much less pressure. I am so with you about not liking working out, but I started doing a few circuits before my wedding and they really worked. The best advice I got was that (unless you have sleeves on your dress) you're really going to want toned arms for photos! Thanks for linking up with WW! I wish I had done this before my wedding. It was so stressful I gained weight! I almost didn't fit in my dress on the big day! haha yikes! Girl, I am with you on this. I started following Yoga with Adrienne on Youtube and I have loved the workouts. I try and do that everyday, and hit the gym at least 3 times a week. I focus about 25% of the time on cardio and the rest on weight lifting, it has been helping immensely. Now I just need to get in gear with eating healthier. I need to start encorporating some yoga and more weightlifting. I want to have some nice arms in my dress! Thanks! I really need to up my weight lifting and yoga. Arms and back are really what I've been working on. Oh no!! I hope this works. I haven't been dress shopping yet, but I think that will give me all the motivation I need.